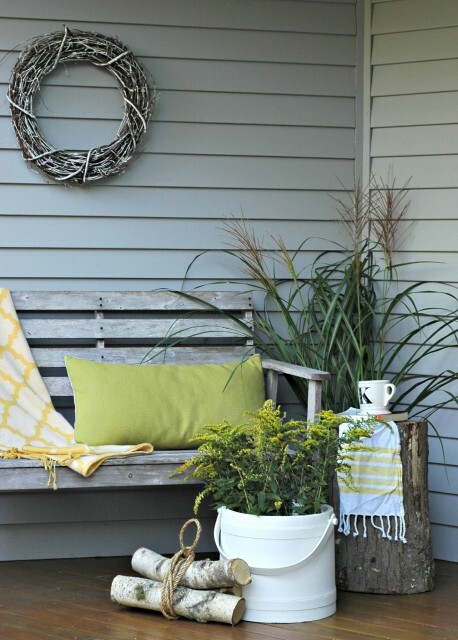 Fall has officially landed on my front porch and this year, I’m all about the yellow, white and green. I’m sure I’ll get around to adding pumpkins at some point, but for now, I am enjoying this fresh take on fall. Decorating for fall doesn’t have to be overwhelming or expensive, and it certainly doesn’t have to be cloaked in black and orange. With a little imagination, it’s easy to look beyond the cobwebs and spiders. The best part? I pulled this together in no time at all by gathering a few fall items from around my house and yard. I have to admit I was pretty excited to find a new way to the use the sugar bucket I painted for my spring mantel. I foraged for the wild goldenrod across the street from my house. My neighbors are pretty used to my antics and paid me no mind. 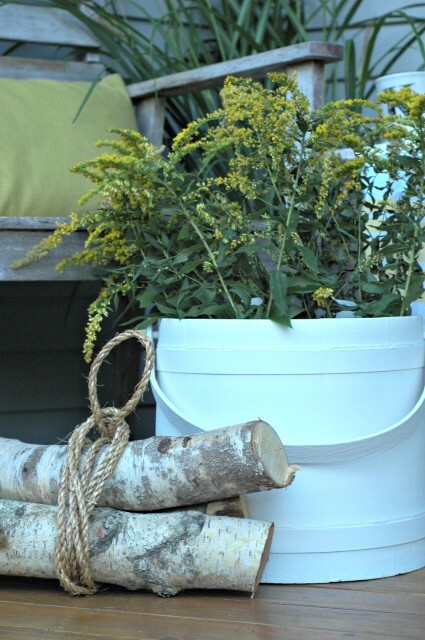 I love the boldness of the goldenrod against the white chalk paint on the bucket. Next to the bucket, I tied a leftover piece of hemp rope around a few birch logs. I left a loop at the top to make it look like a handle. I have a feeling you will be seeing more of this combo as I move it around my house throughout the winter. To add some height, I trimmed some of the decorative grasses we have in our yard. 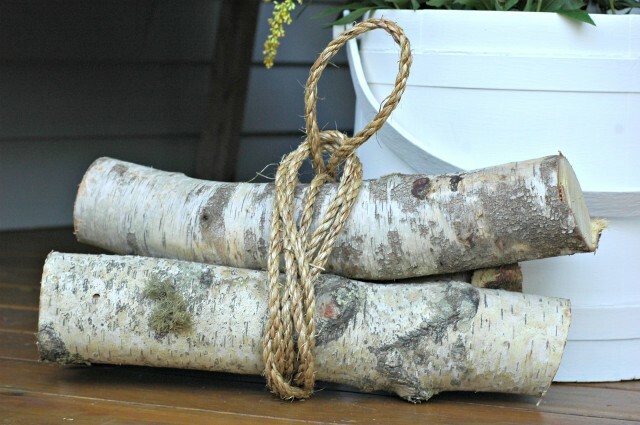 These are great because they begin to curl as they dry and make a nice decorative element for months to come. The last element I want to point out is the tree stump. 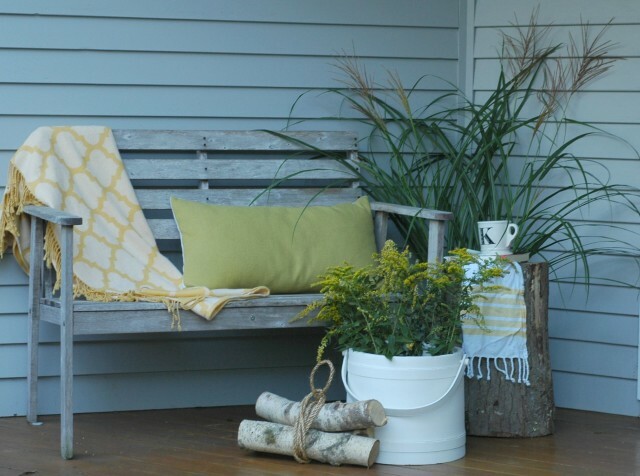 When you’re short on table space outdoors, these make wonderful side tables. Perfect for a book and a cup of tea!